Our emphasis is on personal. We all have our own needs and goals be they fitness, weight loss or just enjoying testing our physical condition. Setting a personalised programme is essential and all our trainers will initially determine what is right for you. We are very fortunate to have so much talent under one roof. There are trainers who specialise in back and neck pain and balance disorders. We are very keen to help rehabilitation of injury or assisting recovery after major surgery. Unfortunately the NHS only allows very little physio and no personal training which we know are essential for making a full recovery. If you want help with weight loss then it is a simple equation increase exercise and calorie use and reduce calorie intake. All our trainers work with nutritionists to make this happen for you but it does require each and every one of us to take ownership of our health and wellbeing. Personal training needs to be enjoyable as well as affective and challenging. It should be something to look forward to on a regular basis knowing you have the encouragement and support not just of the trainers but all who work at The Body Factory. Hannah has been an international gymnast representing Great Britain is both the European and World Championships. Since retiring from international sport she works both in the world of healthcare and as a level 3 qualified personal trainer. Hannah brings to the role skills, compassion and knowledge in keeping with her own experience of healthy eating, living and fitness. Hannah is passionate in helping others achieve their own goals. She knows rehabilitation and building stamina & strength can be difficult for many people. Hannah can help everyone whatever the need or challenge whether it be an introduction in to fitness and exercise, rehabilitation post injury, illness or operation or training for a marathon. She personalises programmes according to where each person puts themselves in life. 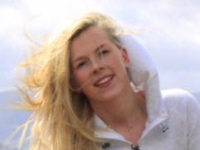 Working in The Body Factory rehabilitation and training centre in Harrow, Hannah is able to work with leading physiotherapist’s and trainers who have the knowledge and experience to help create one of a kind training programmes. Hannah has a particular interest in pre and post pregnancy and pelvic floor training. At The Body Factory we understand that some people might prefer a lady trainer and Hannah comes highly commended and recommended. Jason has been into various sports and fitness his whole life. In his younger years he managed to make it to semi-pro level in football, which he thoroughly enjoyed. Now he's a family man, his focus is more about helping other people with their goals and ambitions in fitness and training, as well as keeping himself in shape. 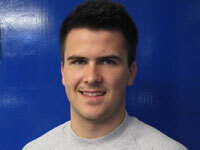 Jason is a Level 3 Qualified Personal Trainer. “With a range of knowledge and training methods together we can work as a team to get you where you want to be”. I have been a personal trainer for over 10 years. Dynamic and fun are two words I would use to describe my personal training ethos. I tailor each workout towards my clients, ensuring they reach their goals. Your goal is my goal!!! I have a number of testimonials that can be provided if you wish. 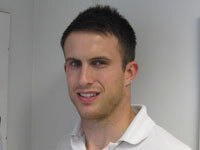 Andrew is a physiotherapist, personal fitness trainer, acupuncturist and international athlete. Andrew also has a particular expertise in training people for marathon running together with a build-up programme and conditioning. Andrew is very keen on the principle of “Giving back to your body”. 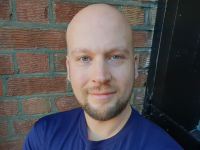 Having qualified from Brunel as a physiotherapist Andrew has already gathered a following of patients and fellow athletes who have benefited greatly from his extraordinary understanding of not just how the body works but how it can work better and more efficiently having recovered from illness or injury. He has a passion to help educate and help encourage others to enhance their physical condition. He does not say it is easy but setting right the goal is vital. The rewards can be great. The initial hard work gets easier and easier and by using skilled personal training techniques, fitness work will be enjoyable. 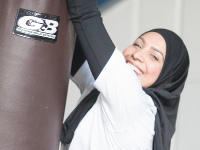 A healthcare professional by trade, Sadiyah discovered she had a huge love for all things related to fitness, nutrition, health and wellbeing. This led her to pursue a career in Personal Training. Her passion lies in truly pushing herself physically and mentally and taking the human body to challenging new heights. She loves to be able to transfer her skills to allow her clients to feel fitter, healthier and happier. Her special interests lie in helping her clients achieve their goals in regards to fat loss, strength and conditioning, including weight training, and chooses to incorporate the many components of specialised fitness including speed, agility, balance and coordination to ensure you experience an effective and diverse fitness regime. Nutrition is also an important topic to Sadiyah and she is more than happy to discuss what small yet sustainable changes you can make in your daily routine that will reap plenty of lifelong health benefits. Her holistic approach means you will leave her tailored sessions feeling encouraged about your health and fitness abilities as well as adopting a balanced approach to life and training. After graduating from Loughborough University with a BSc in Sports Science and PE, I joined the Army and spent 16 years serving all over the world. After leaving, I qualified as a Personal Trainer with Referred Populations specialising in post natal fitness, running numerous boot camps and post natal fitness classes. 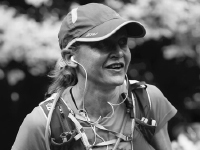 I have always run and love being out on the trails, in 2013 I changed tack and started competing in Ultra Marathons. It was this exposure to extreme endurance competition which prompted me to look harder at how to prevent and treat injury and led me to compete a Level 5 Diploma in Sports Massage and Soft Tissue Therapy with the Oxford School of Sports Massage. I am now in the position where I can combine my love of sport and running with massaging and rehabilitating others. I help treat sports, occupational and postural pain and discomfort through massage and soft tissue techniques. I aid the rehabilitation process and help get people back to their sport, make their working lives more comfortable or simply keep them out on the trails.